In August, the New Hampshire Democratic Party changed the name of its annual fall dinner from the “Kennedy-Clinton Dinner” to the “Eleanor Roosevelt Dinner.” Across the country, even former staffers of the 42nd president are rejecting his help to publicly campaign for them. The man known as the “explainer-in-chief” is now largely viewed as radioactive to publicly campaigning for liberal causes. If you find yourself surprised by this news, ask yourself this: why would a party that is moving left each day want a man on the campaign trail who is known for being a womanizer (at best), who helped expand the federal prison system more than almost any president, and who cozied up to Wall Street unlike any Democratic president ever? Looking at liberal American politics from a historical perspective proves that Clinton’s conservative presidency was an outlier, not the new liberal standard. Their “pull” is on the financial side of things—not on policy designed to help those that our political system has left behind. The strategists who devised a strategy that lost to Donald freaking Trump are still in the party and listening to the Clintons, and hatred of wealthy political donors is one of the few topics most Americans can agree on. 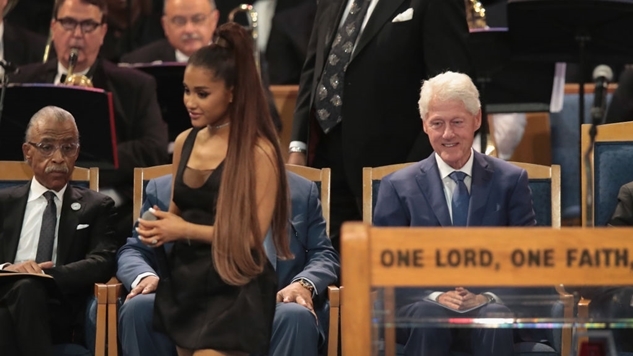 In 25 years, Bill Clinton has gone from a new kind of Democrat to one who represents so many things that are wrong with the party and whose presence largely should be confined to history. The sooner the Democratic elite realizes how toxic all things Clinton are to liberal causes, the quicker the Democrats can regain their footing as a legitimately liberal, nationally competitive political party.